Livestock is the backbone of the country’s economy and supports the largest production community of the Somali people who raise their animals under harsh production system- Pastoralisim. The SDRB is determined to encourage and support the development and modernization of livestock production with the intent to improve the productivity, thus better livelihood for the nomadic society. Livestock production accounts for 60-65% of the gross domestic product (GDP). Based on 1998 FAO estimates of livestock numbers and past growth rates, Somalia has about 3.69 million camels, 0.80 million head of cattle, 13.4 million goats and 11.75 million sheep in 2012. 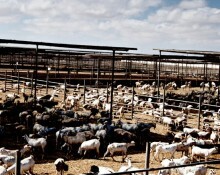 Somali’s major livestock exports are sheep and goats, accounting for 91% of all animal exports. In 2010 a total of 7.352 million shoats were exported through the Berbera Bosaso port (including from Ethiopian sources). Of this total, 1.612 million (69%) were exported between September and November for the Hajj festivities. Assuming an average export price of US$70, the estimated total value would be over US$360 million. With government taxes at around US$3.60 per head, this means tax revenue of around US$13.5 million, or 25% of the Somalia government’s total revenue. Somalia, and to a certain extent the other exporters from the Horn of Africa, depends on only a few countries for exports. For example out of the 7.585 million head of sheep and goat exported through the Port of Berbera and Bosaso in 2010, about 78% went to Saudi Arabia, 20% to Yemen and the rest to Egypt and Oman. With increased investment, smart regulation, infrastructure development, sector coordination and improved branding, the Somalia has ample opportunities to capitalize on the growth of the livestock sector in the Middle East and other regions of the Muslim world, while supporting the growing local demand. The SBRD will commit itself to provide support and assistance to FARMERS, who are producing the basic food for the population such as Sorghum, corn, beans, rice, etc. (Land Preparation) The SDRB is ready to help farmers to increase their production activity and hence contribute the necessary journey towards food self-sufficiency of the country. In Somalia farming contributes between 15% and 20% of the GDP, It is estimated that less than 35% of the land is suitable in agriculture. Despite being erratic and often scanty there are nevertheless two main rainy seasons. These are Gu or spring (April and June) and Deyr or autumn (September and October), in between these two rainy seasons there is also Karan (late July through September) most occur in the western regions. tomatoes, lettuce, onions, watermelon, peppers, cabbages, oranges, lemons, and papaya. Rain-fed farming accounts for 90% of the total area cultivated, while the area under irrigation constitutes only 10%, supporting about 4,000 farm families. The sector is dominated by smallholder farmers who own farms ranging from 2 to 30 hectares in area. The average farm size is approximately 4 hectares. During the dry season, irrigated farms make good profits, because the supply in the vegetable and fruit markets is low in this period. 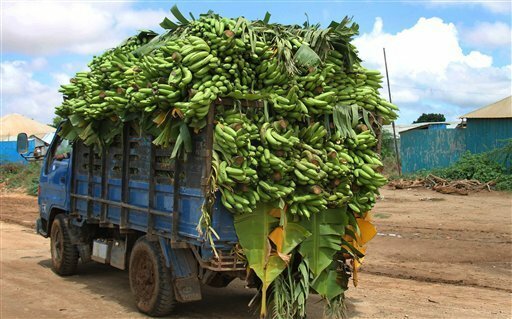 The shortfalls are usually filled by imports from neighboring countries such as Ethiopia and Somalia. In recent years, cultivation of watermelon has emerged as an important source of income for the farmers. Presently. The demand for agricultural products such as grains, fruits and vegetables is expected to grow substantially due to the population growth and the improvement in standard of living.